Today, I have something extremely interesting to talk about, I’ll be talking about housing and infrastructure. What if I ask you about the most expensive/posh residential area in Mumbai? The first thing that will come to your mind is “Malabar Hills” for sure. Malabar hills is home to the luxurious abodes of business tycoons, government officials and several celebrities. It’s popular for tourist destinations like Banganga Tank, Walkeshwar temple, hanging gardens. Malabar hills is not only considered expensive in Mumbai, houses located here comes in the list of most expensive ones in the world. With huge developments happening in Thane, it’s emerging out to be one of the most sought after city to live in Maharashtra. It’s smaller than Mumbai (of course) but it’s well managed and has got many things as good as Mumbai. Pokhran Road 2 is considered as the “Malabar Hill of Thane”. Residents of Malabar hills are blessed with Walkeshwar temple, Hanging gardens, Banganga tank; same way Thane’s Pokhran 2 has got Talao Pali, Upvan lake, Yeoor hills, sanjay gandhi national park and lot more to indulge in nature’s bounty 🙂 . If we talk about the rail connectivity, the distance between Malabar hill to Chhatrapati Shivaji Terminus is around 7-8 km which is almost similar to the distance between Pokhran road 2 and Thane railway station that means railway station is easily accessible. Malabar Hill and Malabar Hill of Thane have zipcode similarity too 🙂 – Malabar hill – 400006 & Pokhran road, Thane – 400610 🙂 . Pokhran Road 2 is developing at fast pace; the region is witnessing development of schools, colleges, malls, hospitals and corporate offices. Connectivity to Malabar Hill of Thane is commendable- a value addition cause of living there. Some big corporate offices are located near the Malabar hills of Thane and people are choosing to stay there to have close proximity to their workplace. Not just for living, people are investing more and more of their capital in buying properties in Pokhran road 2, Thane considering the fact that in future the returns on their investments will be sky-high. Tata has come up with their luxurious residential project called “Serein” in Thane, with this project they are bringing the luxury of Malabar Hills to Thane. The theme of their project is “Wellness”, each apartment is spaced nicely to offer sufficient sunlight and natural ventilation which ensures you are sure to live a healthy life. The apartments in Serein are incorporated with Vitamin C infused shower, air purifier in living room, high performance glasses, RO filters in kitchen, low VOC paint and EMF shield to provide wellness added with affluence 🙂 . 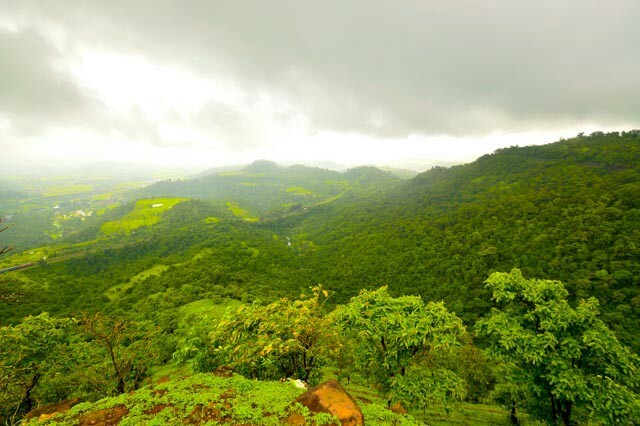 Serein is closely located to Yeoor hills, Upvan lake and Sanjay Gandhi National Park that makes it desirable for nature and peace-lovers. The amenties provided to Serein residents includes Swimming pool, pond, club house, outdoor dining, amphitheater, park, children play area and organic farm. It’s a pride in itself to let somebody know that are residing in the lap of nature. Serein is surrounded by lush greenery, 5 star hospitals, international schools, good colleges, wonderful shopping malls, the site is most coveted and unbeatable. Tata’s Serein is the right choice for people who are tired of hearing the sounds of horns and traffic, and want a peaceful living.